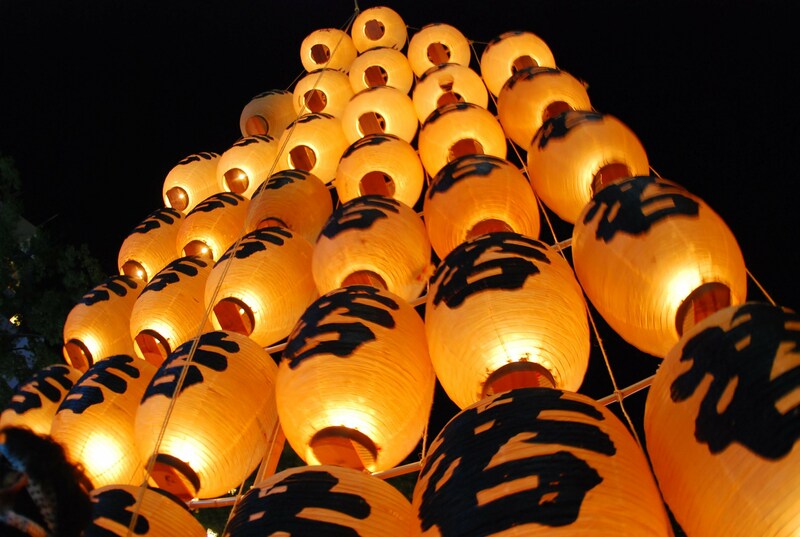 “Kanto Matsuri” (Kanto Lantern Festival) is one of the three great festivals of the Tohoku region, and also counted as one of the three major lantern festivals in Japan. The festival held at Akita city in Akita Prefecture in early August is a festival praying for good harvest. “Kanto” which hung Chochin (Japanese paper lantern) represents “harvest of rice”. In the daytime, Chochin raised high in the blue sky of the summer is blooming in the air as it sways in the wind like the ears of rice. In the evening fantastic Chochin ‘s lantern shakes many times, cheers roar against the art skillfully manipulating huge Kanto. Its virtuosity and sight that shines in the night sky will fascinate those who see it. There is no gorgeous festival car or Mikoshi (portable shrine), but it is an attractive festival that impresses the things you see, such as Kanto’s numerous virtuosity and acting, and a fantastic spectacular parade of night. “Kanto Matsuri” is a festival that hopes for a good harvest and protects people from evil or sin, its origin is called “Neburi-nagashi Festival”. In that sense, it is the same origin as Aomori’s “Nebuta Festival” and Hirosaki’s “Neputa Festival”. There are many festivals being held throughout whole nature that have evolved in their own unique way rooted in their region’s natural environment, climate and history. Among them, amazing customs and ceremony surprised us, and our hearts will full with emotion by an impression and excitement. 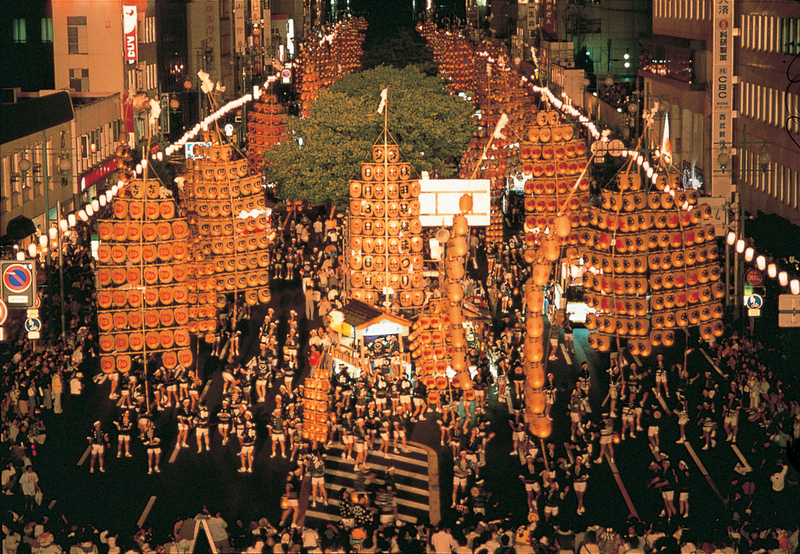 A summer tradition to be performed in Akita, “the Kanto-Matsuri” are one of such festivals. The origin of the Kanto-Matsuri has various theories, but the opinion which is originated from the event of the Tanabata-Matsuri (Star Festival) is influential. As means warding off evil and a huge harvest, it has been inherited among people more than 279 years. 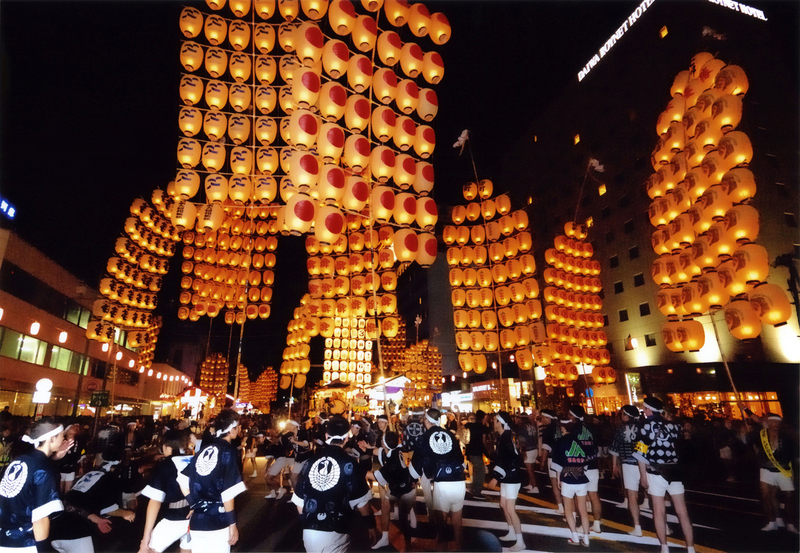 Swaying lanterns, and competing for skill of operating the Kanto which used like a ear of rice, Kanto-Matsuri has been designated Important Intangible Cultural Property, and is counted in one of Tohoku three big festivals along with Nebuta Festival of Aomori and Tanabata Festival of Sendai. 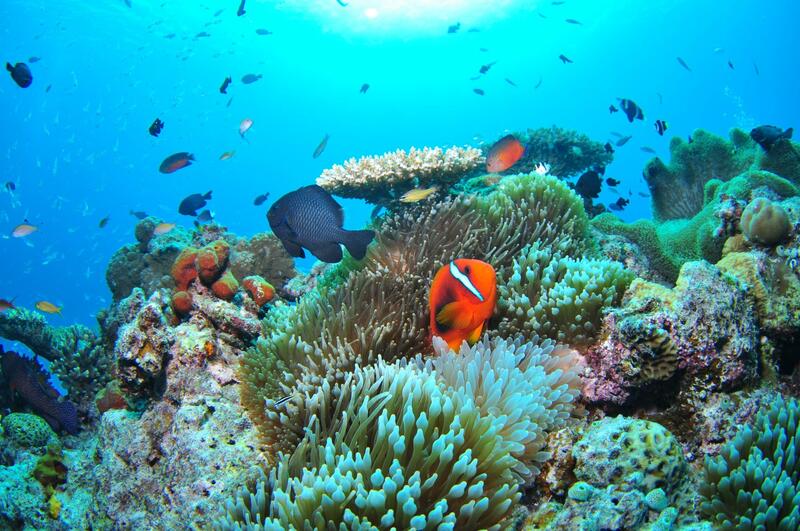 It is sure that it becomes the unforgettable memory once you see it. 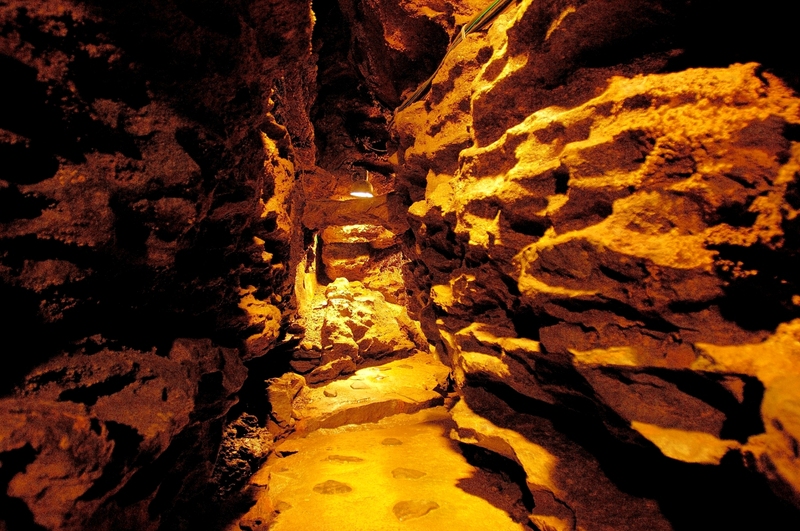 It is Akita-shi folk entertainment Denshokan Museum to be able to experience Kanto-Matsuri anytime. Here, you can know the history of the traditional event transmitted in Akita, and the folk performing arts of Akita-Manzai (a type of public entertainment), including Kanto-Matsuri etc. 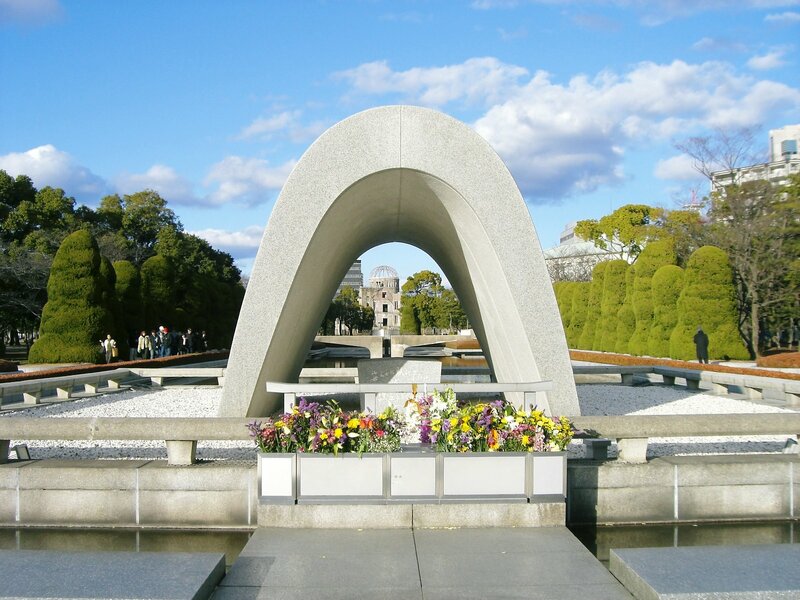 Big Kanto is actually seen from a short distance, and also demonstration by the member of the Akita Kanto meeting is developed day by day. *Vicinity of the Sanno main street. * There are some pay area. Please refer the official web page.